Tesla and drivers who filed a lawsuit last year over the delayed rollout of the automaker’s updated semi-autonomous Autopilot system have agreed to settle the case for $5 million, according to Electrek. The settlement, if it’s approved by the court, would require Tesla to pay affected owners between $20 and $280. 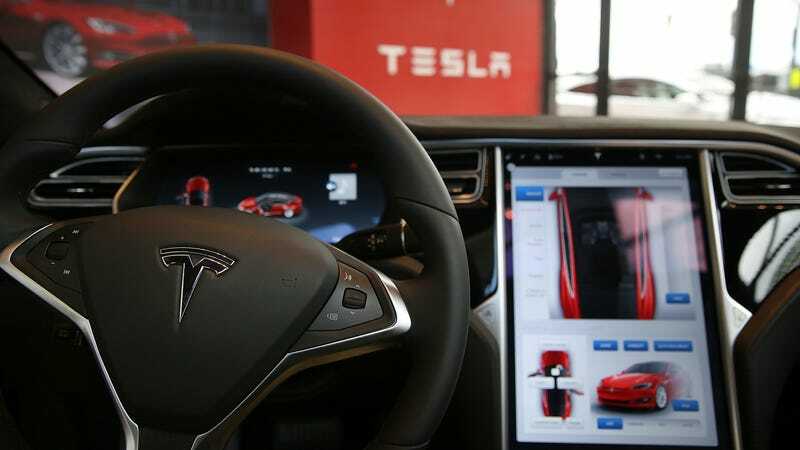 The lawsuit offered harsh words for Tesla’s rollout of the so-called Enhanced Autopilot, which the automaker introduced in October 2016. The rollout was slow, however, and it took far longer than expected for Autopilot 2.0 to reach parity with the original set. The package for Enhanced Autopilot is priced at $5,000, while a currently unavailable “Fully Self-Driving” is being sold for $3,000. Tesla historically has rebuffed any legal complaint filed against the company—indeed, at the time the suit was filed, the automaker called it “disingenuous” and “sensationalistic”—but it’s fully staking out responsibility for the slow rollout here. Now, it’s a question of whether the settlement’s approved. The plaintiffs’ attorney isn’t saying much for the time being.